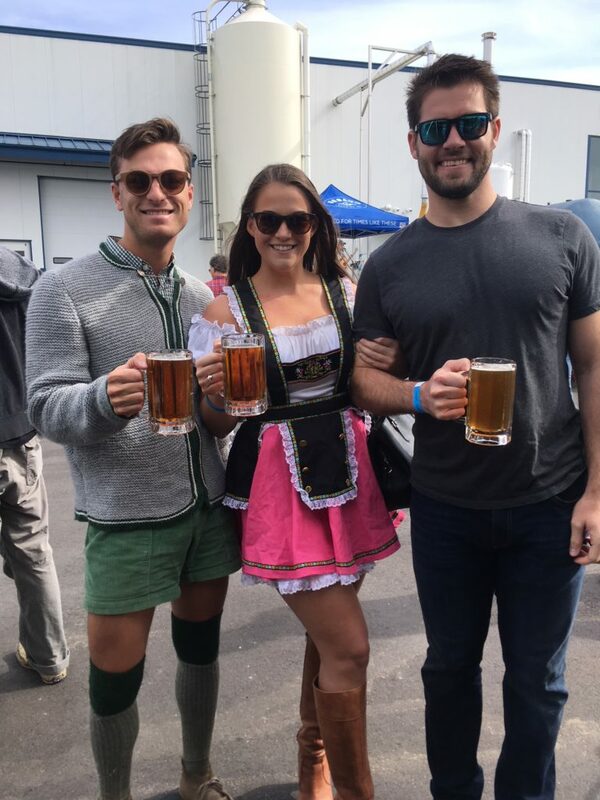 After a brief hiatus, we threw our favorite Fall party, Oktoberfest! 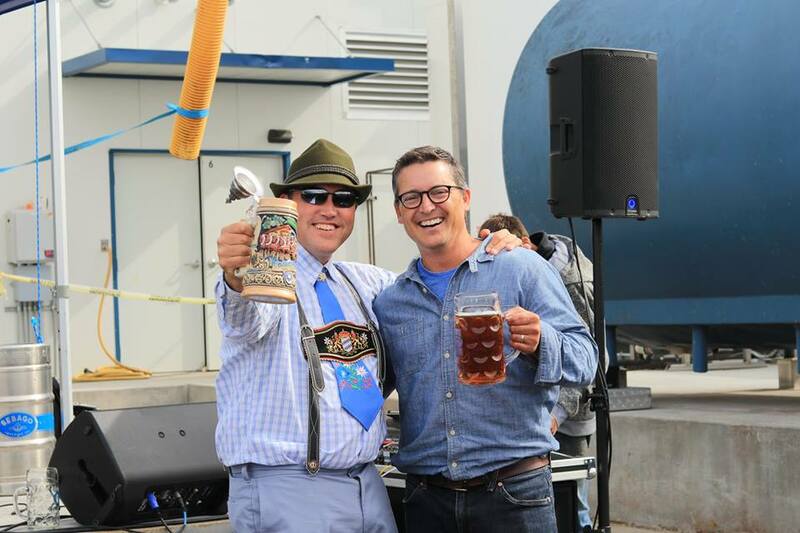 More than 300 people joined us on September 22 for our first Oktoberfest at the Destination Brewery. 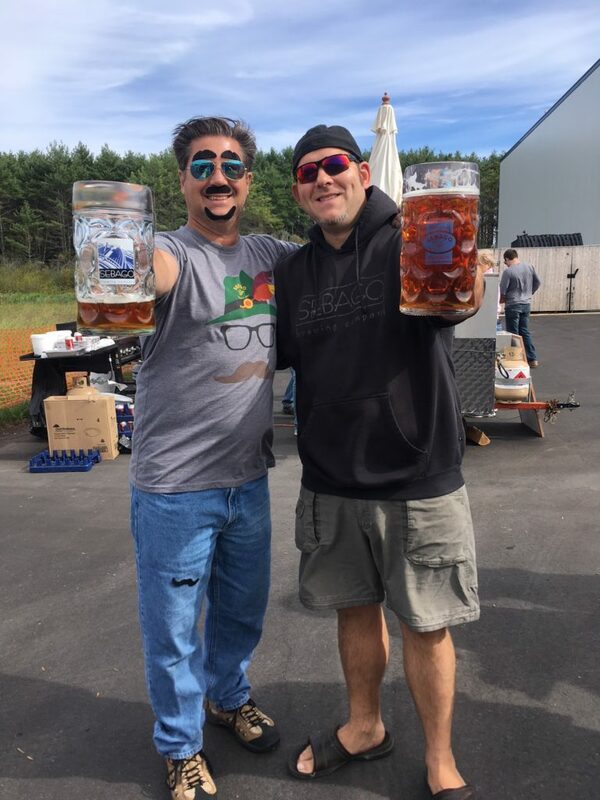 We were cooking up bratwurst with sauerkraut and onions, serving up wood-fired pretzels and German potato salad, not to mention yummy pickles made by our own talented brewers. 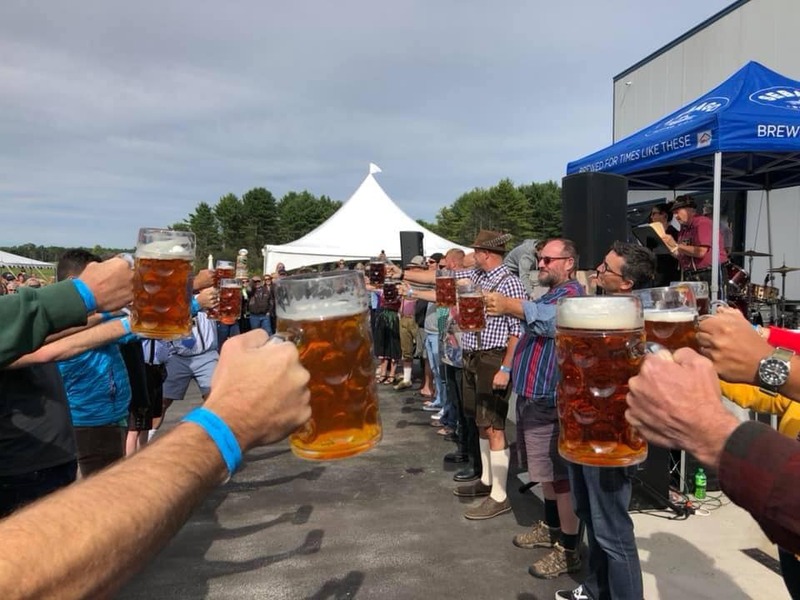 And of course we were pouring: Oktoberfest (our tribute to the classic Marzen style served in Germany), plus Bonfire, Dunkel Weizen, Frye’s Leap, and Simmer Down (for the Fall-deniers). 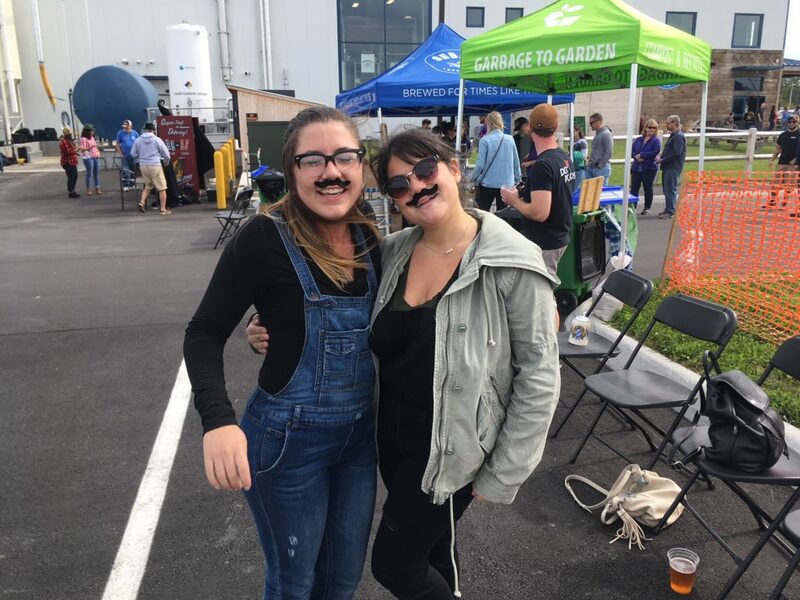 Along with music by FOG AVE and the modern-polka stylings of Daigle’s Beer Hall Boys, we had some wicked fun contests. 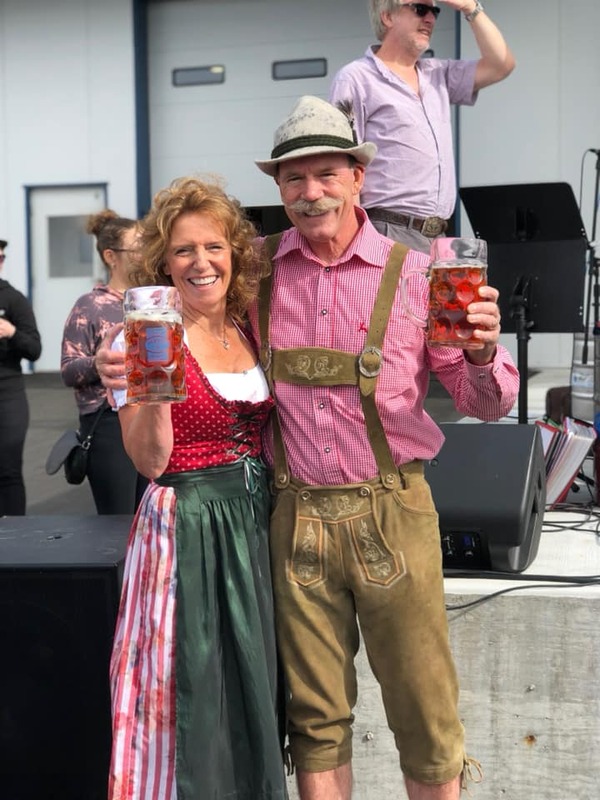 The Best Dressed prize went to Joe and Karen Bump, the cutest married couple ever, and Erikka Lewis won a prize for Best Stein. 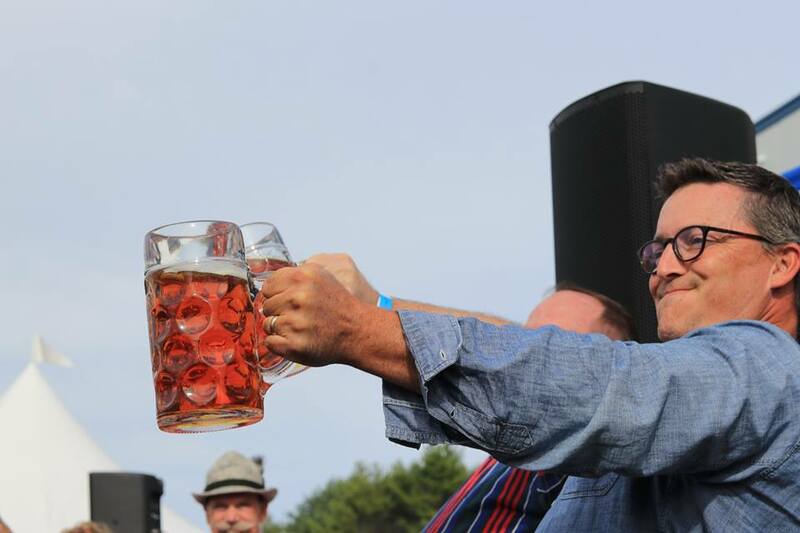 The main event was the Stein-Holding Contest, known as a Masskrugstemmen in Germany. 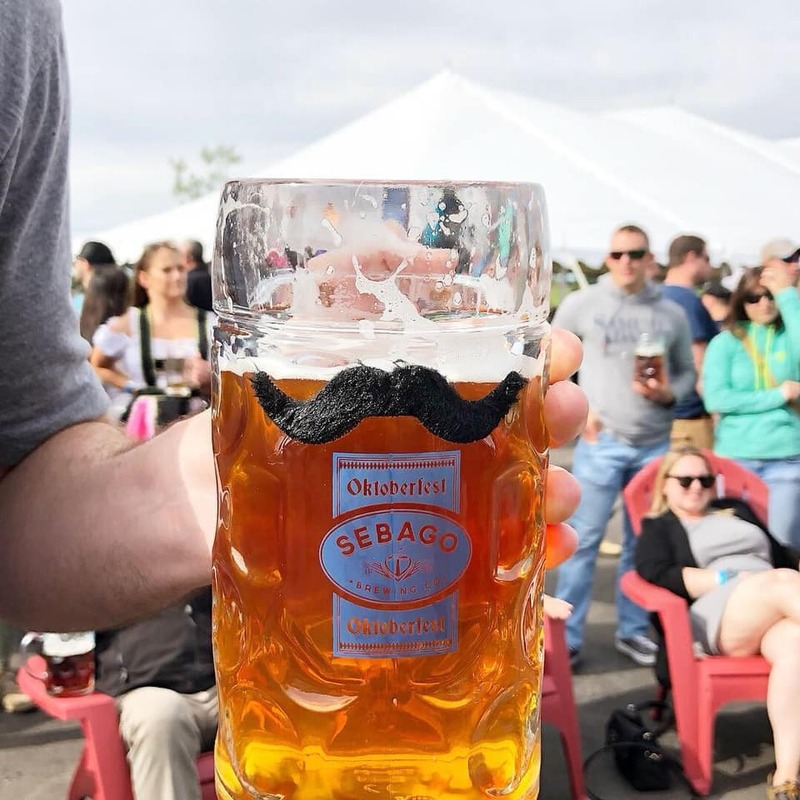 Contestants held a full Sebago Brewing Oktoberfest stein in front of them at shoulder level for as long as they could. This year, Beth won the best time for women at 3:35. Jason Kern won for the men’s category at 5:13 — almost a minute longer than our last champion three years ago! It was a really fun day full of music, food, beer, and great times with friends, new and old. 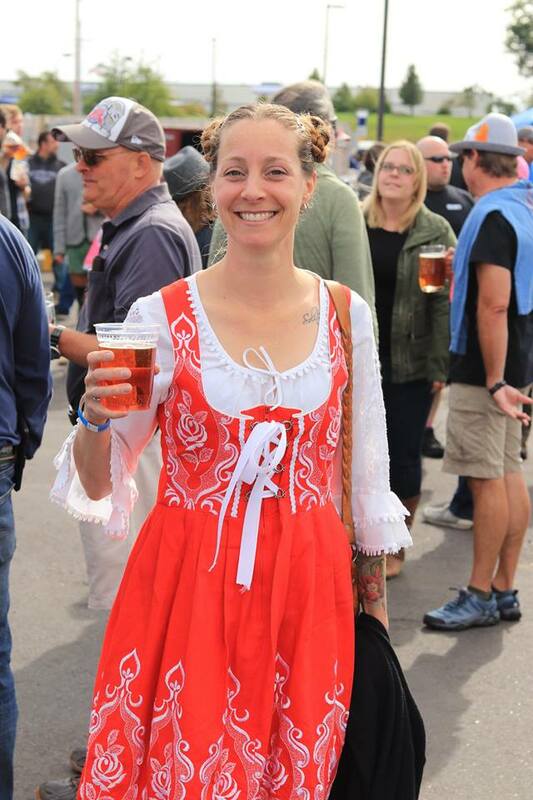 You know what they say: Prost!